Heavyocity’s DM-307 Modern Groove Designer is a highly-stylized collection of modular synth drums, live percussion, and processed classic analog virtual drum machines. With more than 3,600 unique sounds and loops housed in 1500 presets, DM-307 virtual drum instrument software introduces innovative ways to quickly and easily create production-ready beats in a variety of contemporary styles including electronic, hip hop, industrial, ethnic and cinematic. 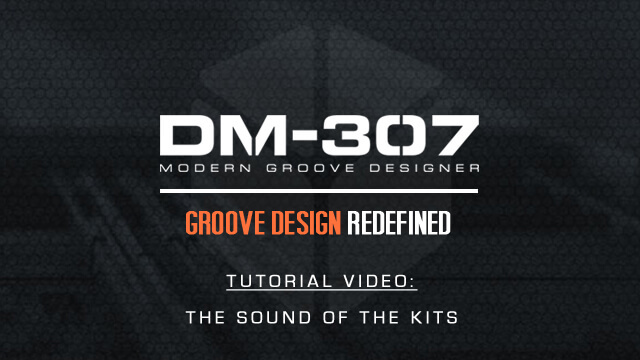 In addition to the kits and loops, DM-307 showcases 300 signature multis, allowing users to tweak beats created by Heavyocity and some of today’s top DJ/producers: Kaiserdisco, Martin Eyerer, Mendo, Pirupa and Uner; and notable cinematic composers: Joe Trapanese, Jason Graves and Kevin Riepl. The extensive content of Heavyocity's DM-307 virtual drum software is complemented by an intuitive user interface featuring the all-new Grid™. The Grid™ is an advanced 5 voice drum machine with 8 programmable patterns, allowing you to build grooves by simply clicking on a step. Expand your beat creation by stacking 5 grid presets in a performance multi and gain unprecedented control over each part with individual FX, modulators and envelopes. Load one of the 180 Kit Groove presets or 300 Performance Multis from this virtual drum instrument software to get a true sense of the power of the Grid, or create your own complex grooves from the thousands of sounds found in the Kits and Multis. The interface of Heavyocity's DM-307 was designed for quick and simple groove creation. You can easily create a beat, alter the envelope, and drastically affect the tone of the sounds. Similar to Damage and AEON, there are 3 levels of effects provided in the virtual drum instrument. Apply effects globally with the Master effects, tweak individual sounds with the ADSR, filter, EQ, and tune, or engage the signature Advanced Trigger FX™ to quickly modulate and alter the sound. Tempo sync is automatic, and exporting a loop's MIDI data to your sequencer is simply drag-and-drop. Tweak your grooves quickly with the integrated key switches for effects and stutters, and create instant impacts with the unique 'Analog Hits'. If you need additional sound sources, check out the whole DM-307 electronic drum software collection at Heavyocity. The sound of Heavyocity'sDM-307 comes from loops, kits, effects, and multis. Every sound in this virtual drum machine is powered by the Kontakt 5 Player Engine. All loops and kits are designed for seamless layering and maximum flexibility, and are loosely classified into 5 different styles. Heavyocity's DM-307 provides a host of loop menus and single loop presets. Stocked with over 1200 loops in 5 contemporary styles, this virtual drum instrument software allows you to quickly mix and match kicks, snares, hits, and other elements to build complex layered rhythms and grooves. The Loop Menus are intelligently mapped, and formatted into “breakout” presets, allowing you to perform the full loop in a single key, or mix and match the individual layers of different loops, all in one preset. Single Loop presets provide level, pan, and tuning for each slice, and allows you to recompose via midi drag-and-drop. Heavyocity's DM-307 offers more than 80 different kits, built from nearly 2,000 unique sounds. These kits combine organic drums with processed classic drum machines and aggressive modular synth sounds to create a one-of-a-kind palette of genre-defying percussion. The signature ‘Analog Hits’ and ‘Tempo Synced Risers’ are perfect for adding impact and emotion to any track. DM-307 offers 3 different levels of effects - apply effects globally with the Master FX (Reverb, Delay, Distortion, Modulation, Twist and Punish), Trigger Performance Effects, or tweak individual sounds. The Advanced Trigger FX (pictured here) are switchable real-time effects with incredible scope for intuitive and creative sound tweaking. Control the speed at which the effect is engaged and disengaged, or turn on the sequence button, and modulate the effect changes with a 32 step sequencer. The signature Punish and Twist knobs preside over everything, adding aggressive drive and character to your beats. For nearly a year, Heavyocity captured in-depth recordings of a wide array of percussion instruments. Sounds were recorded through an all analog signal chain with gear including API, Grace, and Neve mic pre’s, and Manley EQ’s. 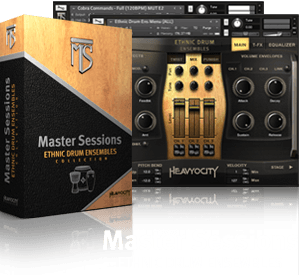 With instruments ranging from congas and bongos, to small metals and triangles, and an arsenal of drum kits, Heavyocity's DM-307 provides a vast range of organic timbres and virtual drum instruments at your fingertips. DM-307 provides Heavyocity’s signature ‘Music-meets-sound-design’ approach on the highly sought after sounds of classic analog drum machines. Sounds were captured using pristine analog gear like the Neve, Wunder, and Chandler mic pres, and then processed with outboard gear from UA, Eventide, Dramastic Audio, and Dangerous Audio. The results are punchy, crisp and dynamic, providing serious character to the sounds. Aggressive, Fat, and In Your Face - DM-307 contains the uncompromising sound of true analog percussion. All of these exceptional sounds stem from using complex synthesis techniques with unique custom modular synth rigs. Using an array of modules including VCOs, Vactrol Filters, Vacuum Tube Compressors, Vacuum-tube distortion, and Analog Bit Designers, all sound shaping took place completely within the analog synthesis realm, custom designing sounds from the ground up. "I'm loving the DM-307, it's got that signature Heavyocity attitude, rock solid timing and an incredible variety of ultra-tweakable sounds. The GUI is among the best I've ever used in a Kontakt instrument. It's is an amazing drum tool that has instantly jumped to the top of my go-to list." "Very cool presets and sounds. It's great for creating loops from another approach. I seriously dig the drum and hi-hat banks. Good stuff!!" "The DM-307 is really intuitive and easy to work with it. 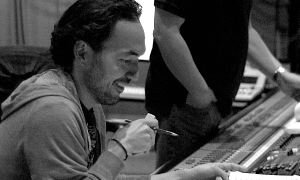 You can expect really nice sounds for your productions, for sure." "I love how Heavyocity pushes the boundaries of timbre and rhythm with the DM-307. Not surprisingly, it's just another great product from this consistently, high quality, innovative and most importantly MUSICAL company. Thank you Heavyocity for the good work." "Instantly hooked on the DM-307. Its fluidity to write drums is amazing and the structure is well-planned out. Full support on this and to The Heavyocity team." "DM-307 continues to innovate the Heavyocity sound through immersive sound design and musical programming. DM-307 offers me a versatile sound palette that expands the possibilities of musical expression and creation." "DM-307 took me by surprise. I wasn't sure what to expect but after experiencing what this library has to offer it has found a unique home in my studio. I've always lamented the shortage of good percussive libraries that sound great and feel great. 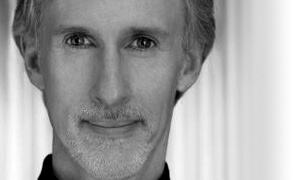 Between DM-307, Damage, and Aeon, Heavyocity has brought composers' libraries that elevate our work and inspire creativity." "DM-307 is yet another home run for the boys at Heavyocity. It offers the user the chance to create unique and fresh drum loops & sounds with maximum flexibility and is a joy to use. It's a keeper without doubt!" 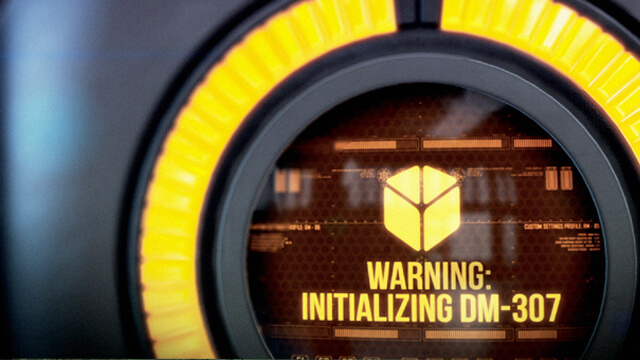 "We are already using DM-307 on every new cue we're scoring on 'Almost Human'! We know we're just scratching the surface on what seems to be an infinitely limitless production tool! The sounds and flexibility are amazing!" "I've spent hours going through the whole library and every single sound is fat and clean, just the way I like them. [DM-307] gives you the option to make them the way you like, tweaking here and there. The whole thing is ACE! I've been using Heavyocity's products since day one and have always been extremely satisfied." "Really powerful as well as clean. What I also like is that it doesn't sound "digital" like many other plugins. I was astonished by the ease of use and amount of possibilities. Haven't seen anything like this in a while!" "DM-307 is yet another example of Heavyocity standing out from the crowd. Their stuff is always bold, and let me tell you this thing is BOLD. Some of the sounds will take your head off right out of the box. And like all of their other synths, I love the interface. The grid is awesome, so fun to use and it just works with my writing. Heavyocity take great care in making interfaces that don't bog you down when you're trying to create, but rather enhance your workflow. I love these guys!!"